Indeed, any Davenport property manager will agree that renting the property in Great Orlando area becomes more difficult. The main issue is the time. Today it takes longer to find a qualified tenant. Even in the hot areas like Orlando, our average days on market increased from 10 days to 14 days. The cases where our hardworking property managers were able to complete entire process, which is listing the property and sign an executed lease, within 3 days become rarer. It is not to mention the areas with the slower “tenant flow”. Among these areas is Davenport. Finding the qualified tenant fast is the goal for both real estate investor and property management company. However, the boom of completed constructions of multi-family homes in 2016 makes this process longer. The variety of newly built apartment complexes increased the supply, reduced demand, decreased the rental prices and quality of the prospects. For example, there are properties that have been on the market for longer than 60 days. In this case, homeowner’s loses may be detrimental. This is why Davenport property manager need to think outside of the box to attract the renting leads. 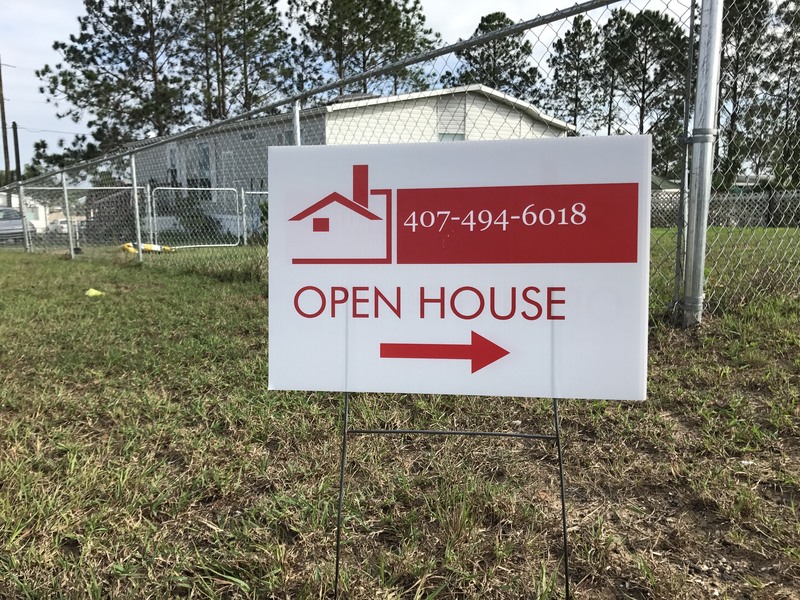 We noticed that in addition to market rental price and advertising, having an open house may increase lead generation, reduce the property leasing time, and decrease the tenant placement transaction costs. The main reason why prospects may prefer viewing the property on open house rather is, they do not need to hire a showing agent. They are not expected to commit to anything nor feel uncomfortable to say “I am sorry, but I don’t like this property.” Another reason is the time convenience. Some people prefer to have some flexibility with their appointments. Davenport property manager should understand that prospect may have to have a long drive and traffic on the way to the viewing the property. While being late is stressful for many people, it is always easier just to show up sometime between 2-5pm. Finally, while not everyone is not computer savvy, open house signs, displayed around the property, may help long awaited tenant to find his or her further rental home. We believe that sharing the ideas will improve the way Davenport property managers conduct their business. Homeowners and professional are encouraged to share their strategies about how to attract qualified tenants, provide any recommendations, and hire our property management company to take care of any rental property located within the Great Orlando area. Read more or contact us here.